Kalmar, part of Cargotec, is proud to announce the launch of its latest-generation shuttle and straddle carriers, incorporating significant changes and upgrades based on customer feedback and years of extensive R&D work. The next-generation machines feature new robust mobile drives, a completely redesigned electrical system for the upper frame and spreader and a more spacious electric cabinet layout as well as LED working lights as standard. Furthermore, Kalmar shuttle and straddle carriers now share common electrical components and technical solutions, making maintenance easier and more cost-efficient for customers operating both types of machines. The complete electrical and technical redesign will bring a huge variety of benefits for terminals using shuttle and straddle carriers for container handling, with increased reliability and productivity being the most significant. The machines now feature a new robust mobile drive designed to operate reliably in the harsh working conditions frequently experienced at container terminals. Starting reliability is also significantly improved with the redesign of the battery system, with two of the four batteries used for starting the diesel engine and two for powering the control system and lights. In addition, the complexity of the electrical systems - including those for the spreader - has been significantly reduced, with far fewer cables and connection points and a simplified electrical cabinet layout. This makes maintenance easier and faster, and further improves reliability. Maintenance and troubleshooting are further simplified with the addition of new easily accessible control units that technicians can use to perform tasks such as diagnostics and software updates. The Kalmar Stradmonitor software application has also been completely renewed to make it easier for technicians to troubleshoot problems and configure the equipment. 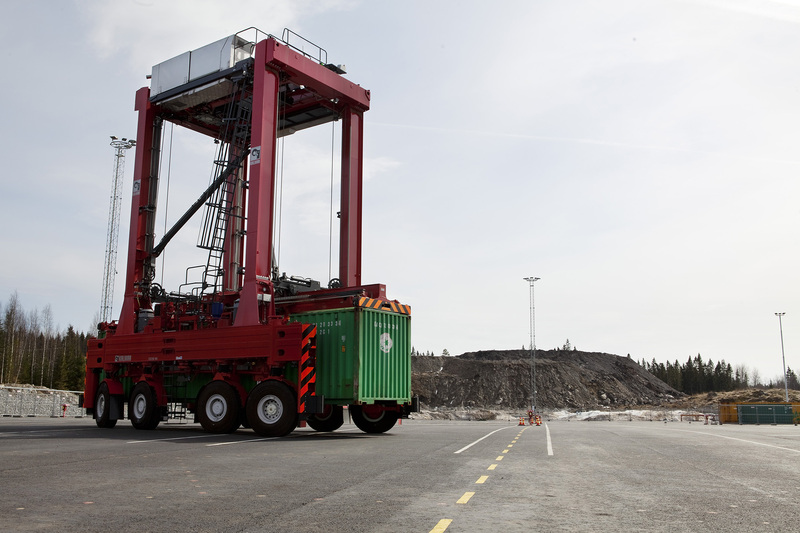 Mikko Mononen, Vice President, Intelligent Horizontal Transportation, Kalmar: "This new generation of shuttle and straddle carriers represents a huge leap forward in many different ways. In terms of driver comfort and improved operational safety, LED working lights provide vastly improved visibility of driving routes, while the new larger touchscreen in-cabin display makes controlling the machine easier. The completely renewed electrical systems will significantly improve the reliability of the equipment, while the built-in automation capability will support the increasing number of terminals around the world that are adopting automated equipment in order to improve efficiency and productivity. All of this has been made possible through the dedication of our talented R&D team and our commitment to continuous improvement based on customer feedback." Olli Salomaa, Electrical Engineering Manager, Intelligent Horizontal Transportation, Kalmar: "The new technical solutions we are now introducing for shuttle and straddle carriers are the culmination of several years of hard work by our dedicated and highly motivated team. Right from the beginning our focus has been on listening to our customers and delivering exactly what they need to achieve their business goals. For example, we have taken the control system and completely redesigned it from the ground up to improve the end-user experience."